In 2008, Aldébaran (ex. ARTEFACT) and Cervantes joined their forces to create DARKENHÖLD with the aim to play authentic Medieval Black Metal. After two split-CDs. DARKENHÖLD released its first album A Passage To The Towers. The band goes then away to defend its music in public, before beginning the writing process of the second opus. With Echoes To The Stone Keeper”, the band develops its universe, evocative power and sound signature: a melodic Black Metal made of foggy landscapes, ruins and mysterious medieval majesty. To conceive Castellum the band plunged into ancient times where legendary castles and fortresses were raised proudly to impose their magnificience. This third album gives a new life to the old stones that are full of history through a personal and imaginative work. “Memoria Sylvarum”, the fourth opus, released in May 2017 (CD version), is an ode to solitary wanderings in the forest and forgotten ruins. 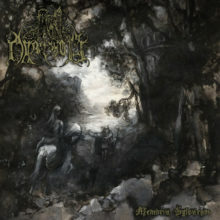 This majestic Black-Metal is a true invitation to a journey in these authentic places where myths and legends live on. About Memoria Sylvarum: This last opus is a tribute to wanderings in forests and local ruins. It’s a personal journey of the soul through forgotten sources. It also marks the evolution to a rougher and more rustic sound, a more intense aggressiveness and to ethereal atmospheres. The band worked on creating a contrast between melodic darkness and semi-darkness polyphonies. The album was almost fully realized by Aldébaran and the band on their own.